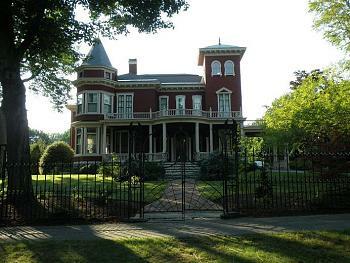 Does anyone know if Stephen King offers tours of his home? I'm assuming no, but thought I'd ask to see if any of the locals might know a secret handshake or something. I'm fairly positive that he does not. He is for the most part a private man who does not venture into public alot. I know his illustator and Mr. King is a very generous and nice guy, he just prefers to keep his private life that way. X2 on no, he doesn't. He likes to be left alone but me and a couple of fraternities Brothers a long time ago walked up and asked if he wanted to donate some bottles for the Children's Miracle Network and he ended up giving us a $50 bill which was really cool and he was fun to talk too. I find I like him best if I avoid movies based on his books and his photographs all seem like someone other than a guy who can write that well. Thank goodness writer celebraties lead quieter lives than their cinema cousins. I didnt know that 4pointoh. I thought he was just reserved all the time. From what I heard Stephen King spends most of his time at his home in Bridgeton ME, I have been to his Bangor house, I can't figure out how to post a pic here though. I can't figure out how to post a pic here though. Directly below the reply, you will see a box which says, "Upload a Photo".